PTFE resin is first molded into work-block and then skived. 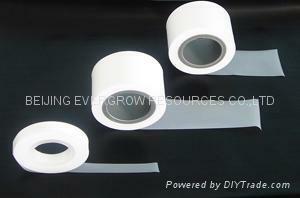 The PTFE resin skived sheet & tape has a good dielectric. and chemical resistance and not aging. They have a wide range of operation temperature. PTFE resin is first molded into work-blank and then skived. 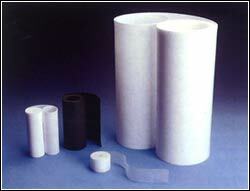 The PTFE resin skived sheet & tape are highly dielectric. Chemical resistant and not aging. They have a wide range of operation temperature. Lining,seaing and oil less lubricating material and dielectric at any frequencies. Capacitor dielectric, wire isolation, electrical instrument isolation.